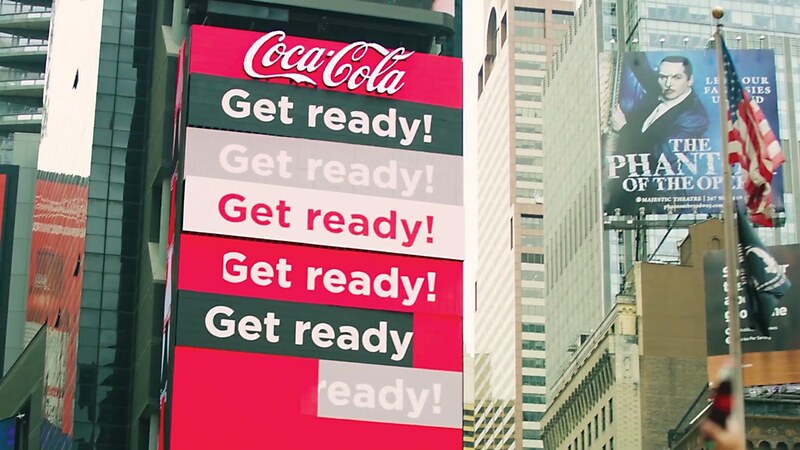 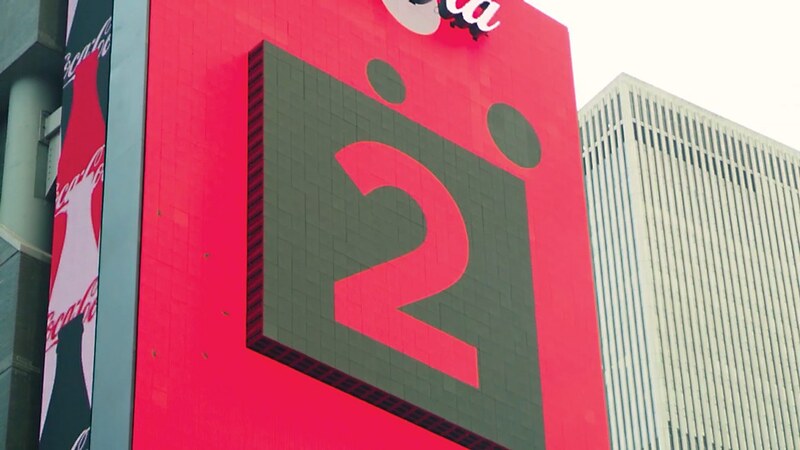 Overview: In 1920, Coca-Cola debuted its first Times Square sign. 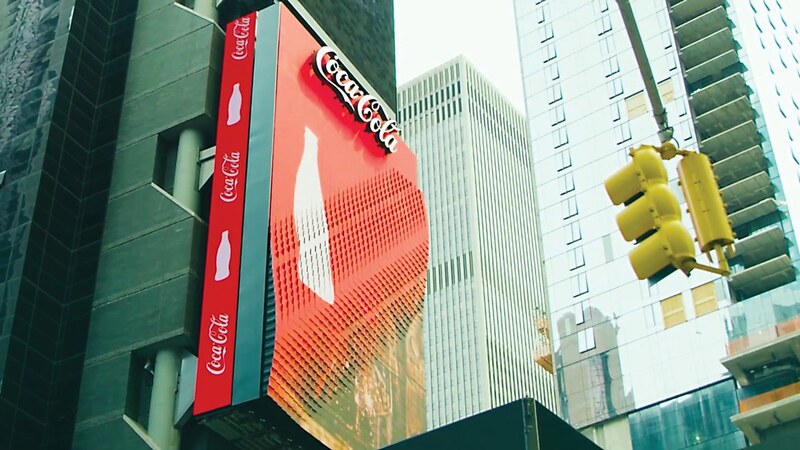 Fast forward to August 2017, when the brand introduced a Times Square sign that moves. 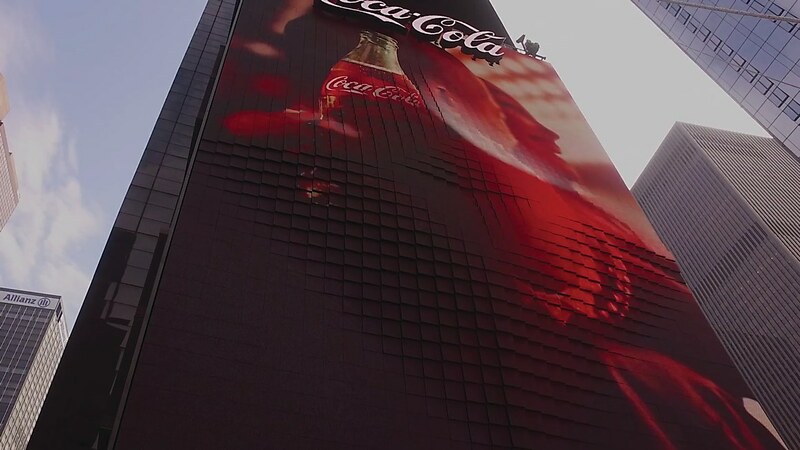 Concepted by Minneapolis-based digital ad agency space150, the 42-by-68-foot billboard features 1,760 independent, computerized LED modules that seamlessly extend and retract, bringing dimension, shape and motion to out-of-home advertising. 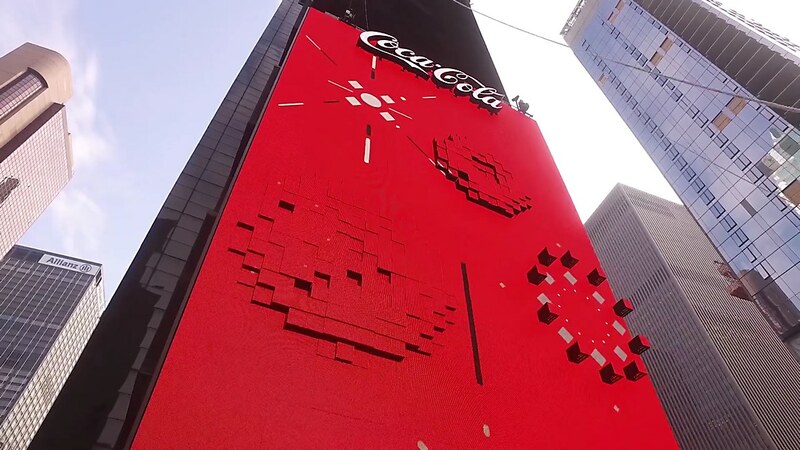 Introducing the world’s first and largest 3-D robotic billboard—one that’s sure to grab the attention of even the most blasé New Yorker. 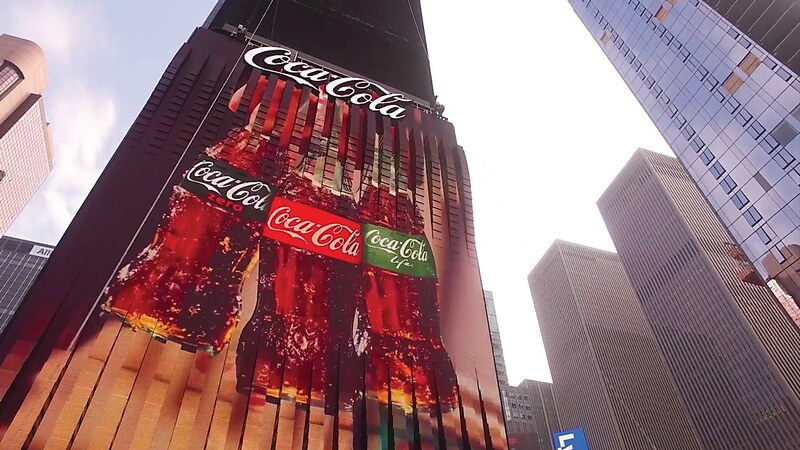 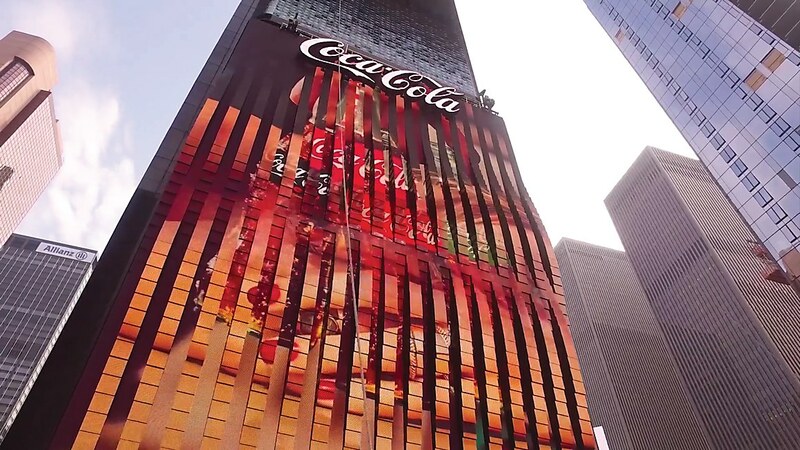 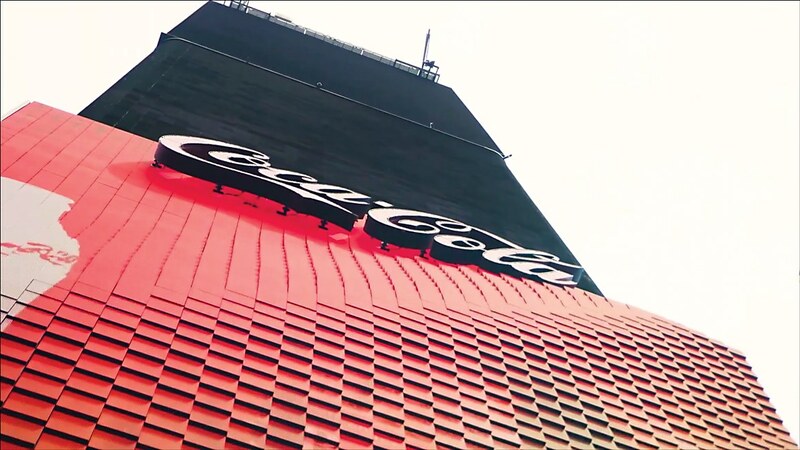 • The billboard was created and fabricated by Coca-Cola’s engineering, information technology and marketing teams, with help from space150 and other partners. 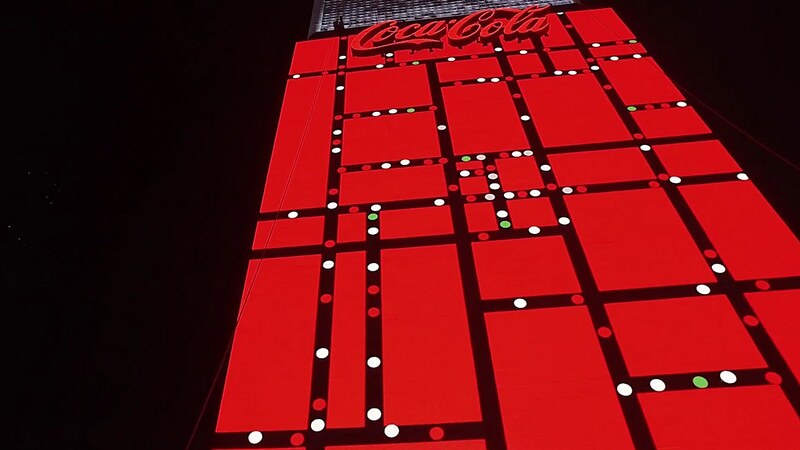 • The LED modules are individually programmable. 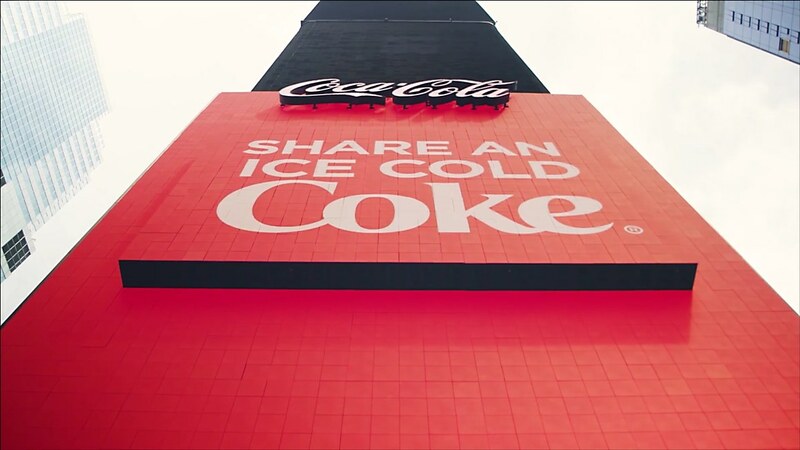 • The billboard is designed to withstand the elements—rain, snow, sleet—and even has its own weather station.